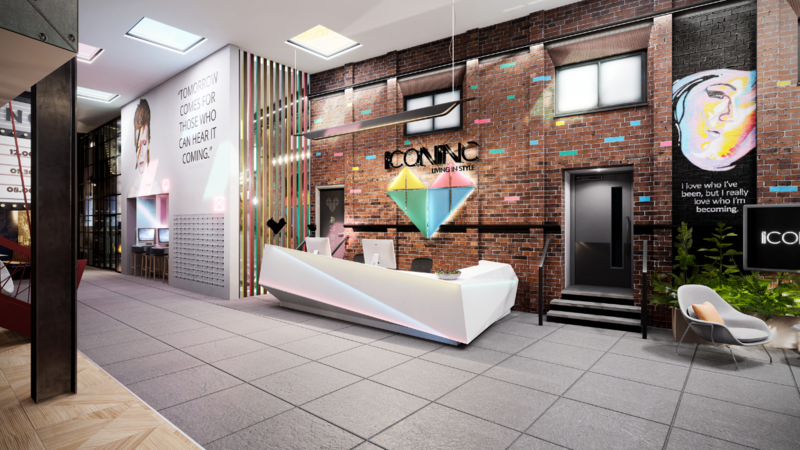 Park Lane Group approached us to help in promoting their latest development being launched in Lincoln under their luxury student accommodation brand, IconInc. 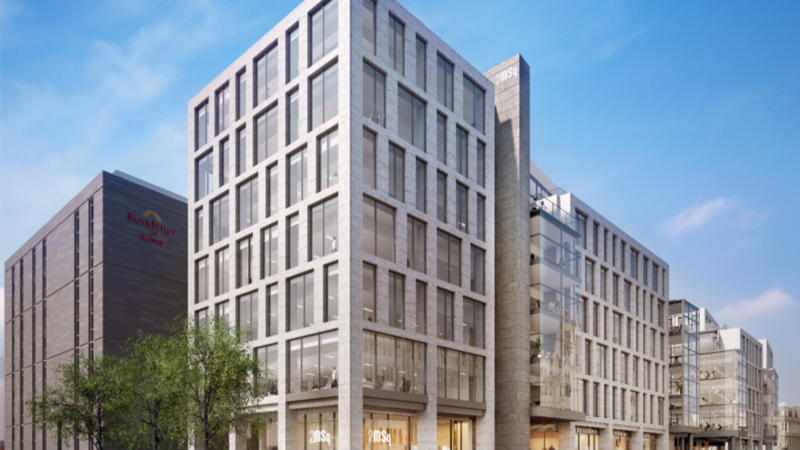 A complete suite of visual marketing media was required to support the launch and ongoing sales activity, with high quality imagery of each space being a key requirement. We were also tasked with producing a short promotional video and asked for suggestions on delivering enhanced forms of engagement for events to reach out to overseas residents. The first stage was to create a series of highly detailed environments that captured the brand essence and distinctive character of each space. These were developed in Unreal Engine while working with the interior designers to ensure all iterations were accurately reproduced. From these environments, numerous 2D and 360° images were generated before being processed by our art team to produce a series of highly photo-realistic views that depicted students making use of the facilities. An extensive number of animated camera sequences were also produced from this and then narrowed down to a key selection for use in the production of the promotional video; which also included branded motion graphics and live video footage. 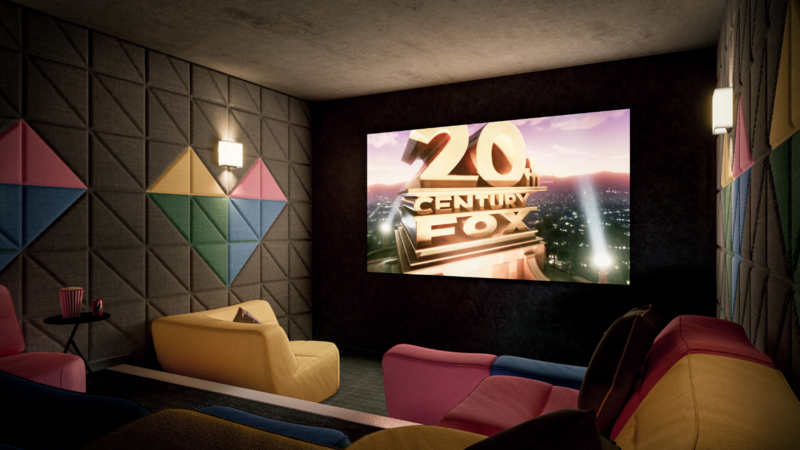 We then worked with the website designers to implement our own immersive CGI viewer, with a menu that offers intuitive access to each of the immersive 360° views on the website and on mobile devices. The 360° views were also configured for use on mobile Oculus Go VR headsets. 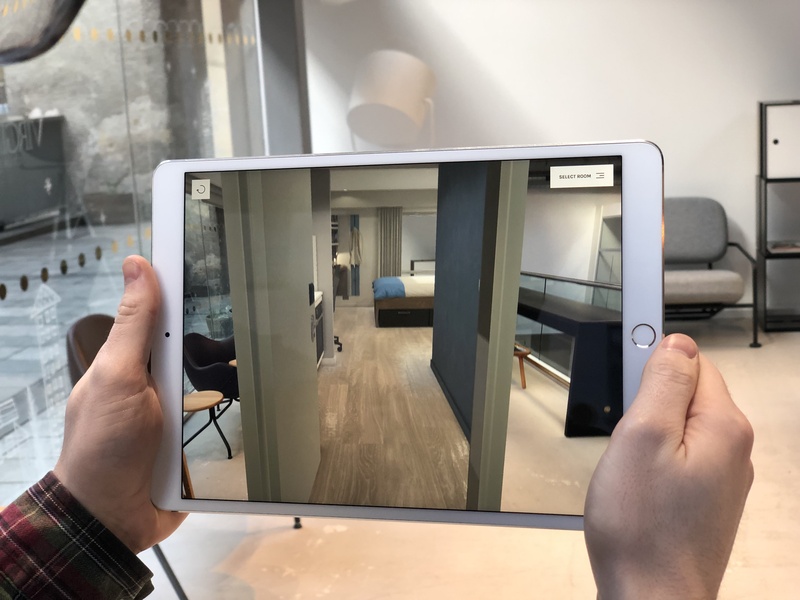 After the initial review of the full virtual environment, using the Oculus Rift, the management team decided to utilise the models and instructed us to prepare an interactive mobile app that offers AR virtual tours using the ‘Magic Door’ function. This was produced on an accelerated timescale and introduced some new functionality for selecting the bedrooms type and precisely locating them in the real world. 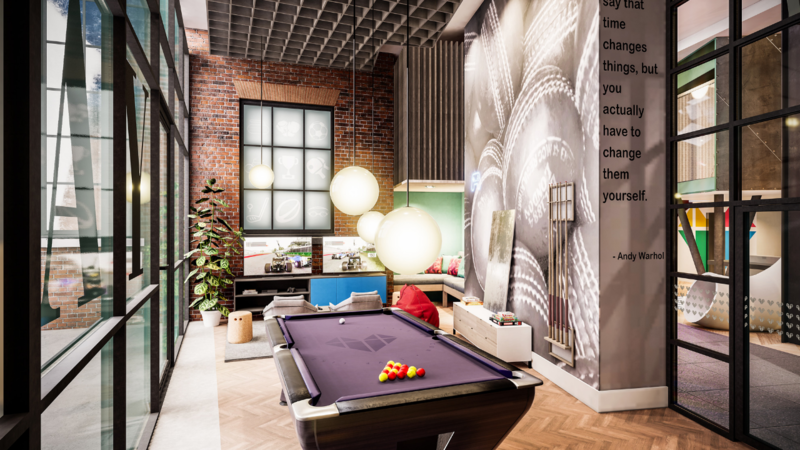 The visual media of the interiors and the separately produced CGI of the exteriors were immediately added to the website and helped bring the proposition of student life at Gravity into sharp focus. Alongside the promotional video that is being used on the website, we also produced a shorter version of the video that was used across all of IconInc’s social platforms and helped drive traffic through the main website. 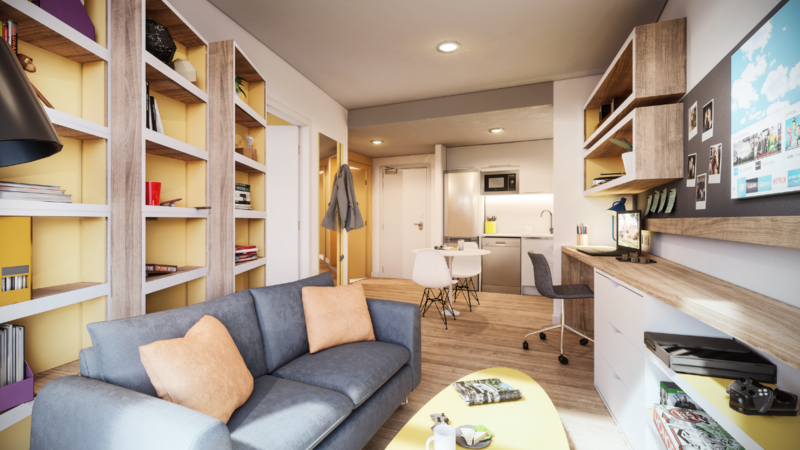 At subsequent events, the team have made excellent use of the VR capability and interactive AR app to provide compelling virtual tours in a way that has more direct appeal to the target audience of technology proficient students. 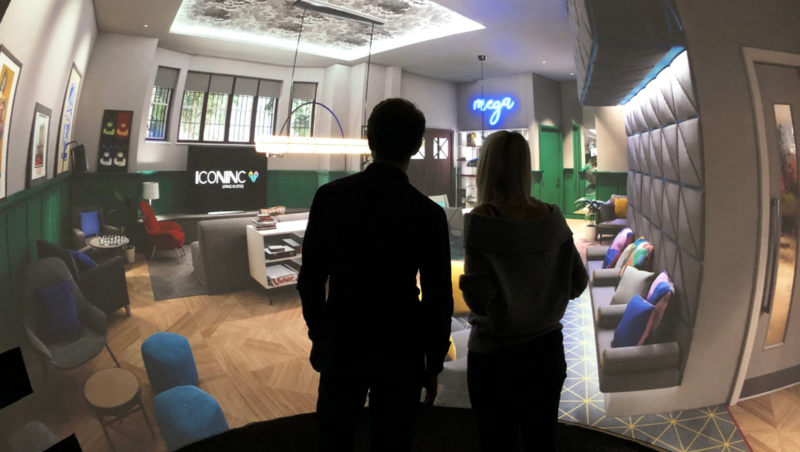 The virtual environments have since been ported onto the Reality Portal™ platform, which offers additional opportunities for providing genuinely immersive first-person virtual tours to groups of prospective residents.